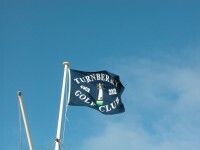 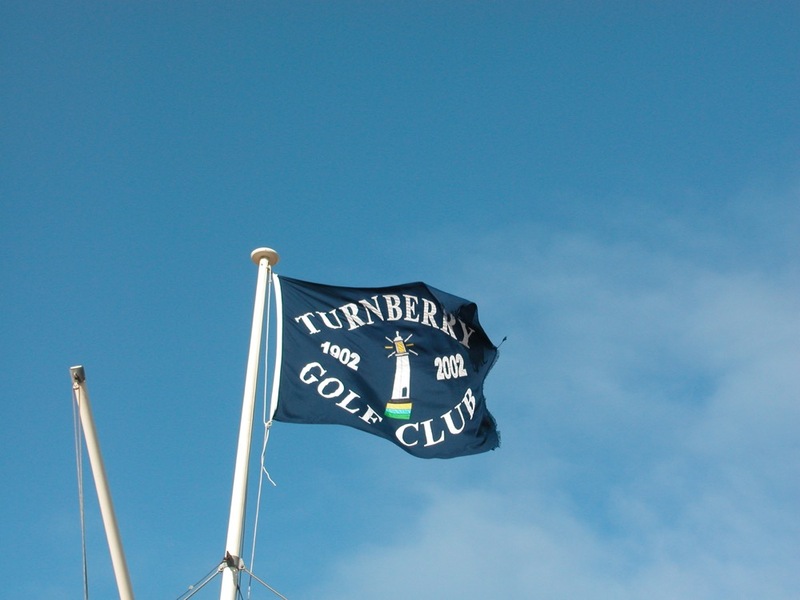 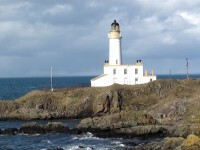 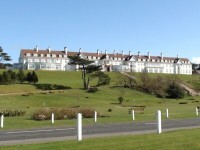 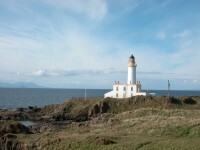 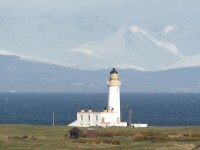 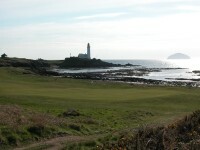 Turnberry Scotland is beyond world-famous because many of golf’s most familiar sights are found at the famous Trump Turnberry Resort here in Ayrshire Scotland, such as the famous Turnberry lighthouse, Ailsa Craig (an island of granite in the Firth of Clyde), and the ultra-deluxe Turnberry Hotel up on the hill, glittering like a diamond in the evening sun. 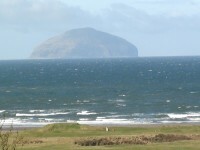 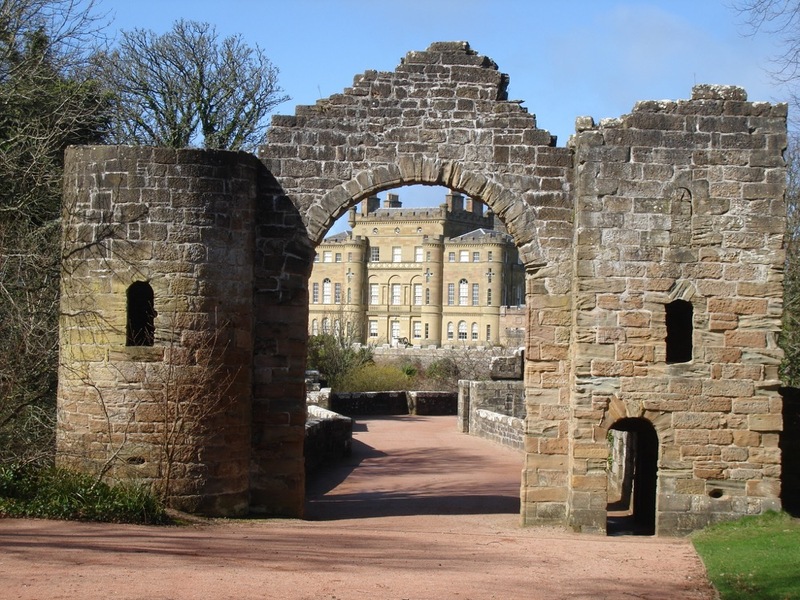 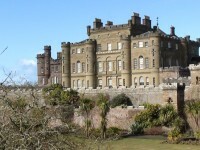 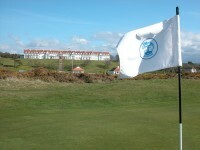 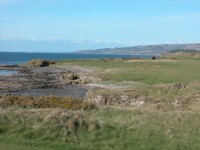 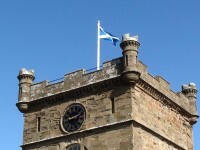 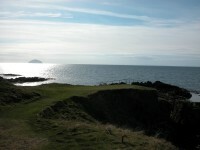 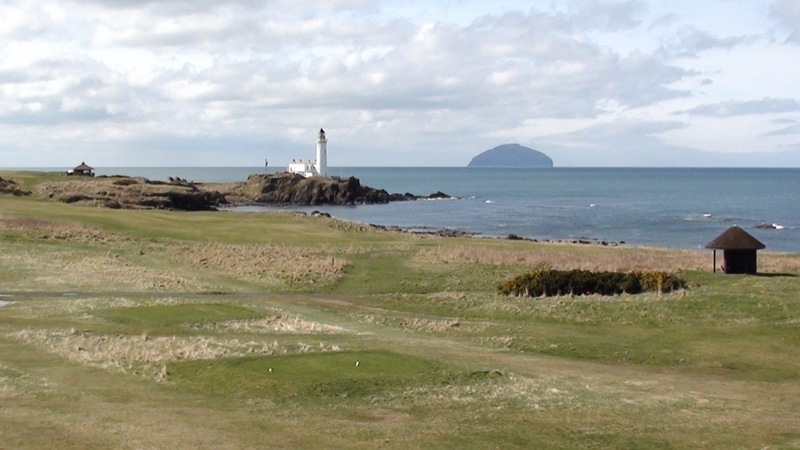 Golfers from around the world are drawn here to Ayrshire Scotland to play Trump Turnberry’s famous Ailsa Course, site of the magnificent “Duel in the Sun” between Jack Nicklaus and Tom Watson in the 1977 British Open, popular victories by Greg Norman in 1986 and Nick Price in 1994, and for the “old guard” of golf fans like us, golf’s ultimate letdown, when the Old Man by the Sea himself, Tom Watson, came so close to the greatest accomplishment in sports history on the Ailsa Course when he lost a playoff for the 2009 Open Championship at age 59. 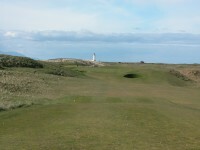 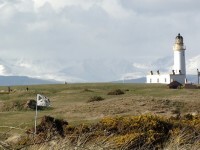 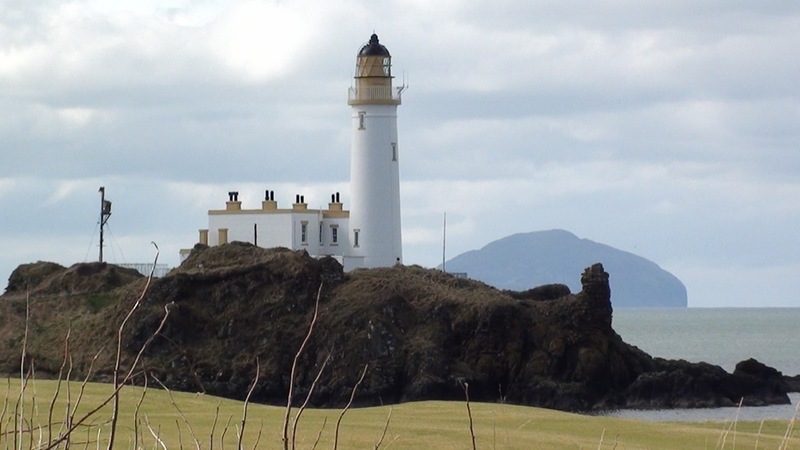 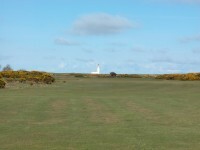 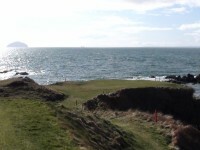 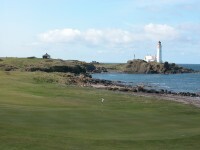 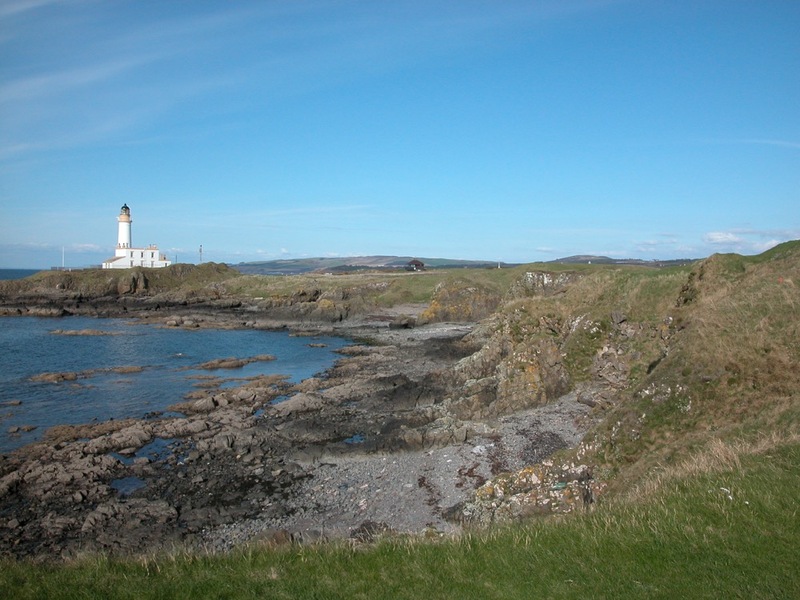 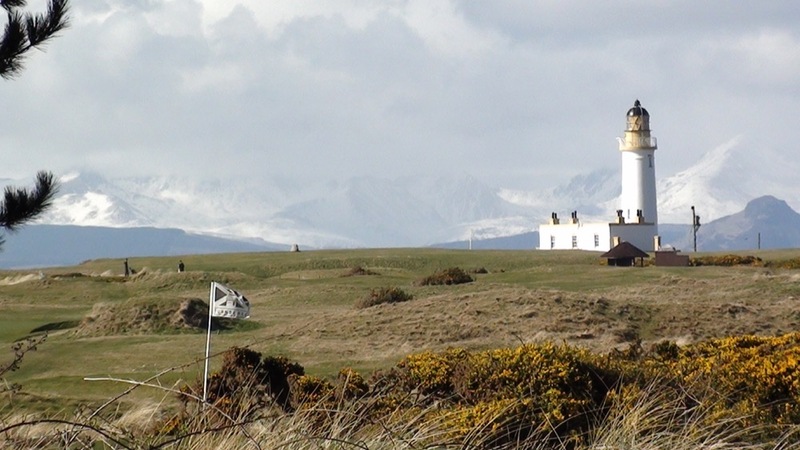 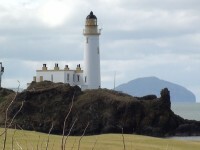 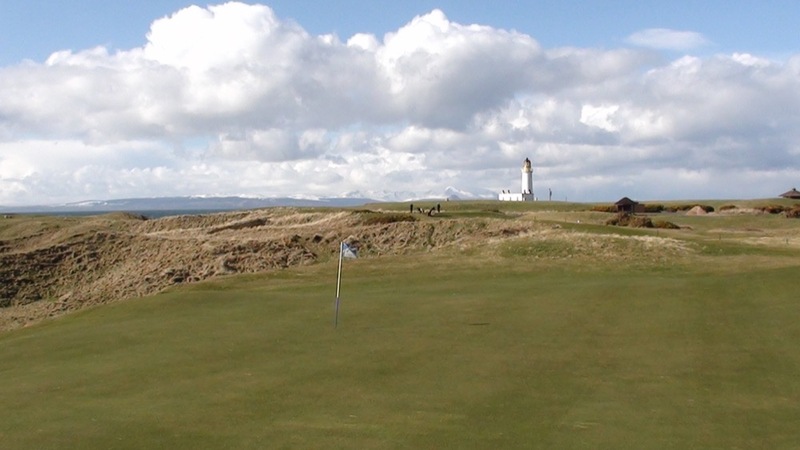 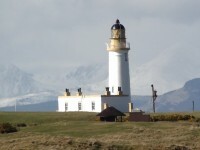 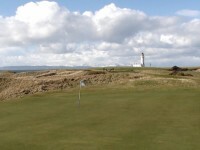 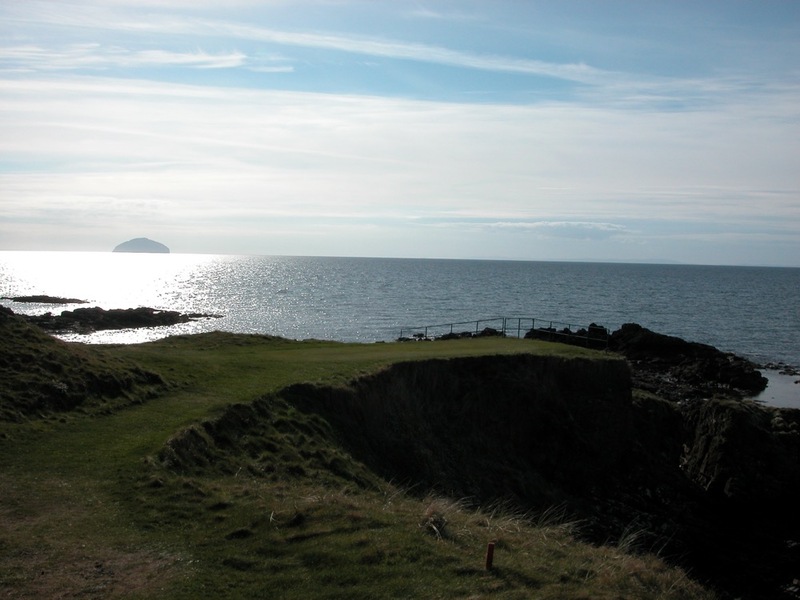 When visiting golfers visit Trump Turnberry’s Ailsa Course, they encounter some of the most memorable holes and hazards in Scotland golf, such as the thrilling tee shot on the 9th, one of golf’s most exciting, and the diabolical Wee (Wilson) Burn on the 16th, one of golf’s most beguiling! 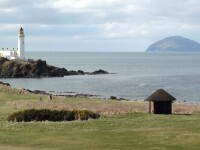 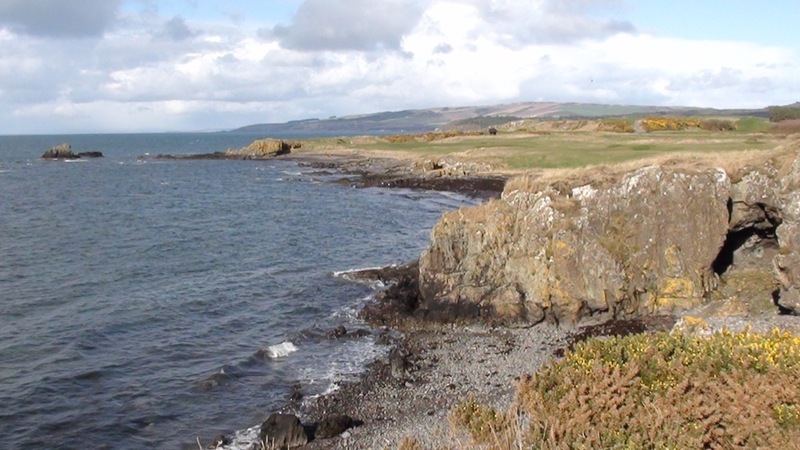 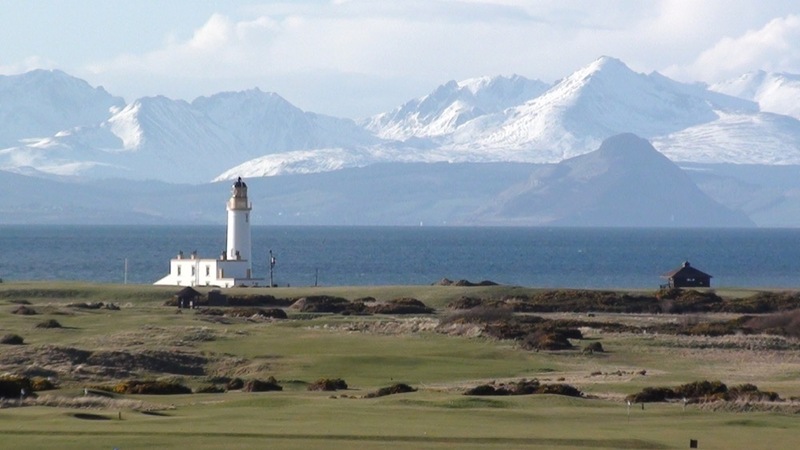 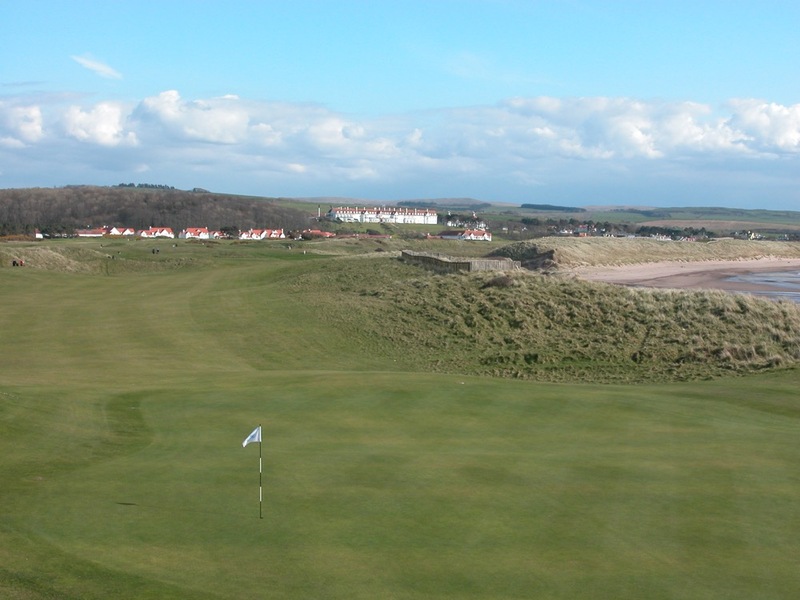 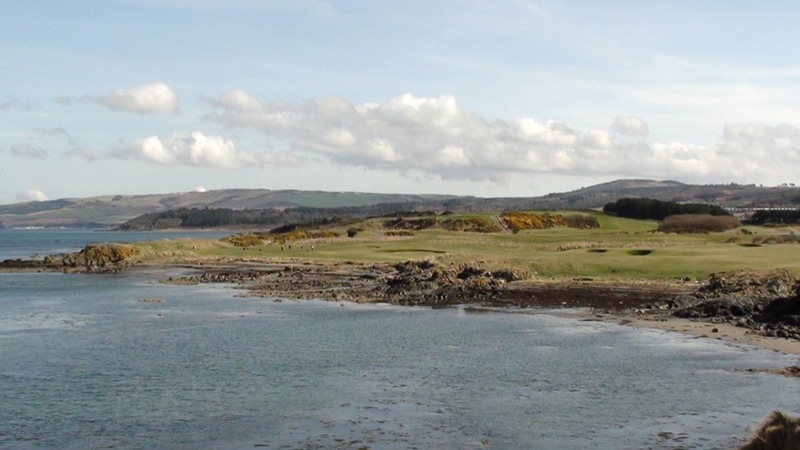 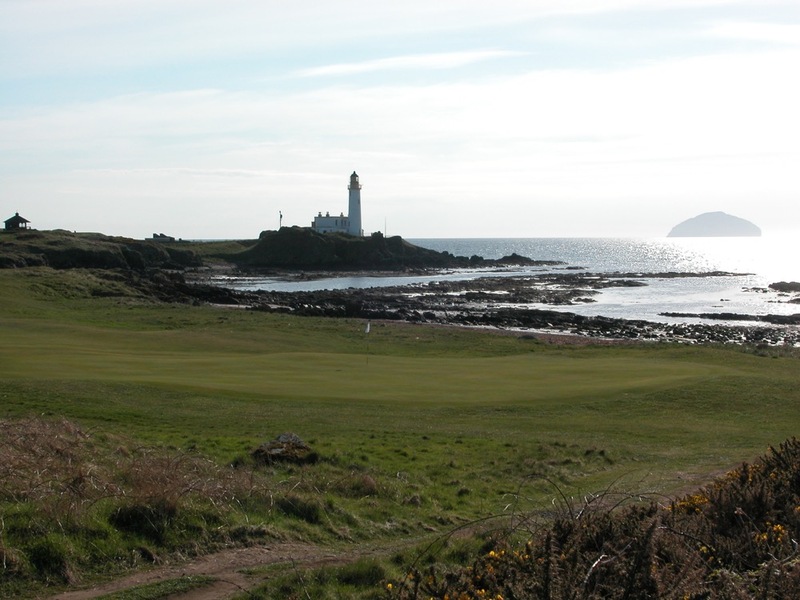 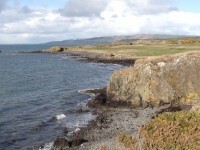 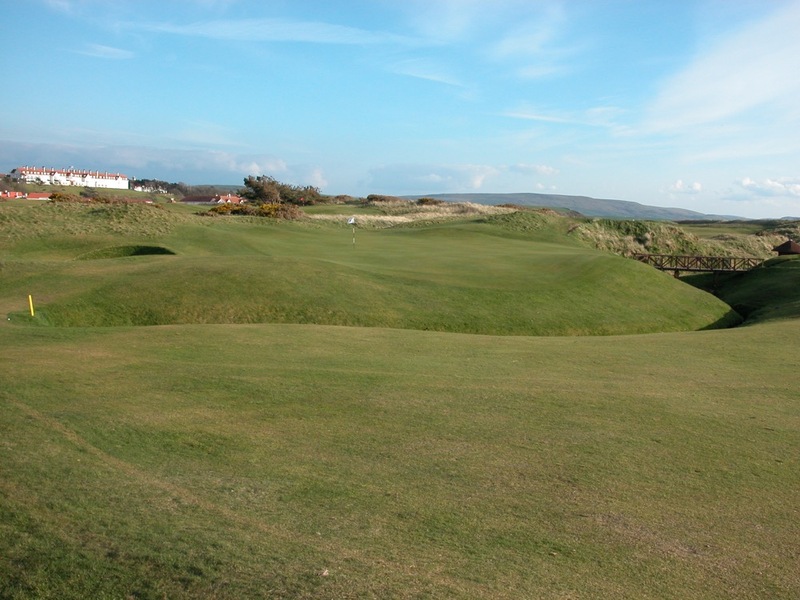 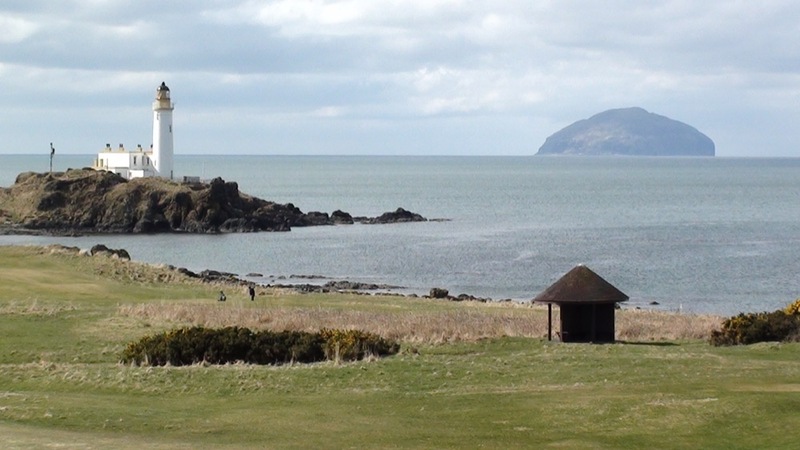 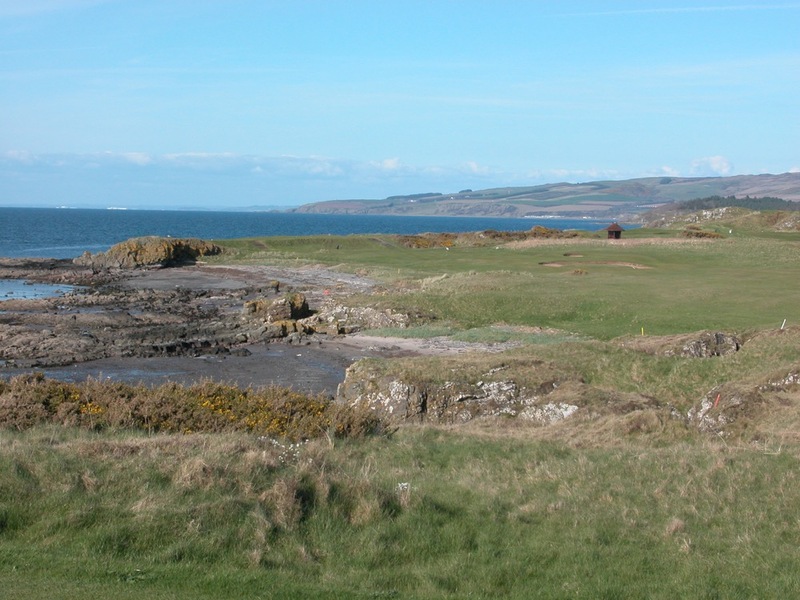 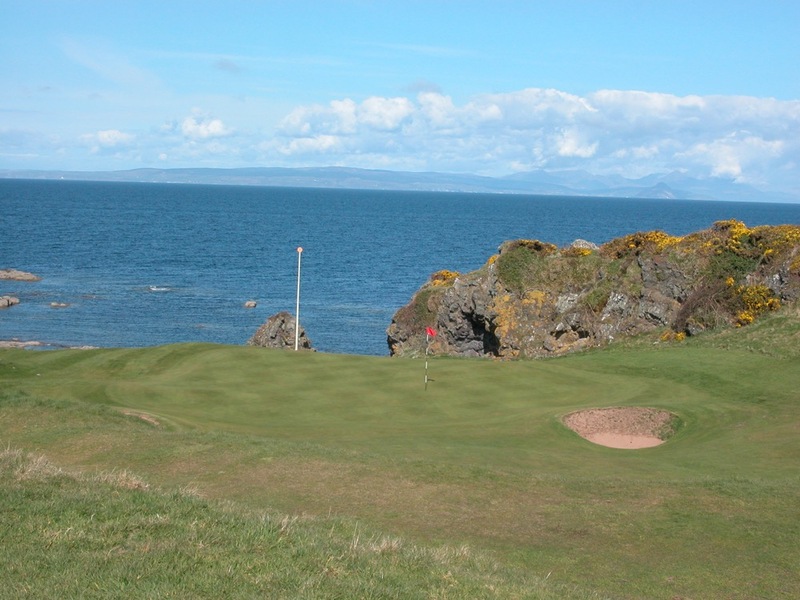 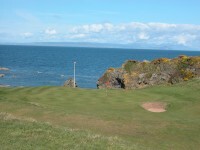 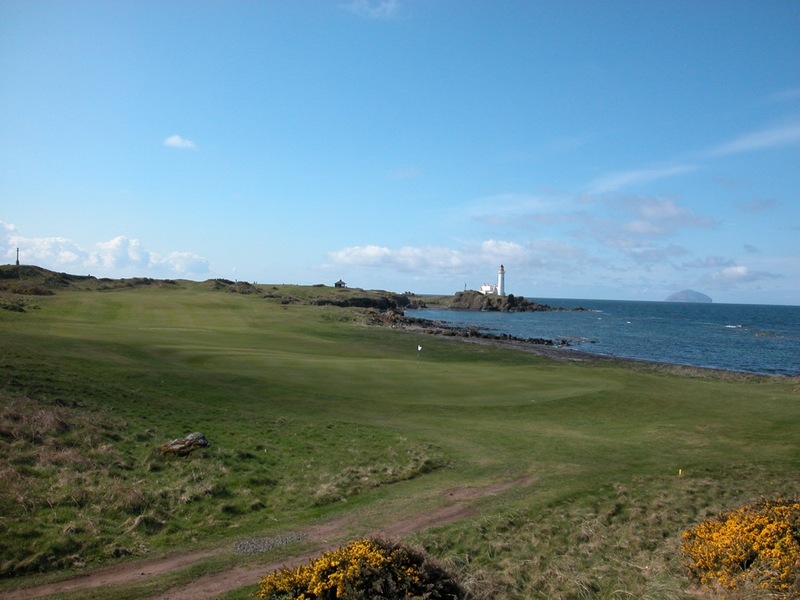 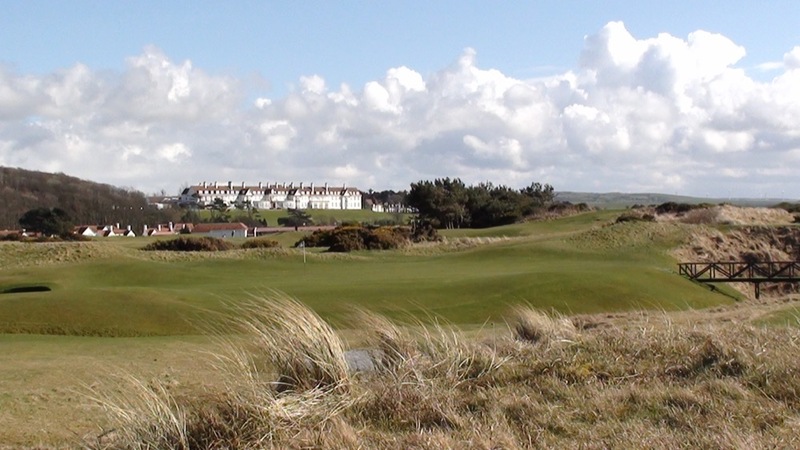 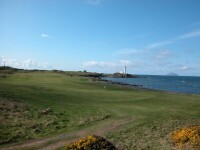 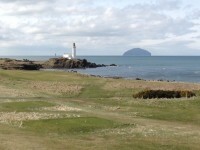 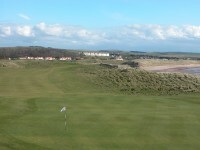 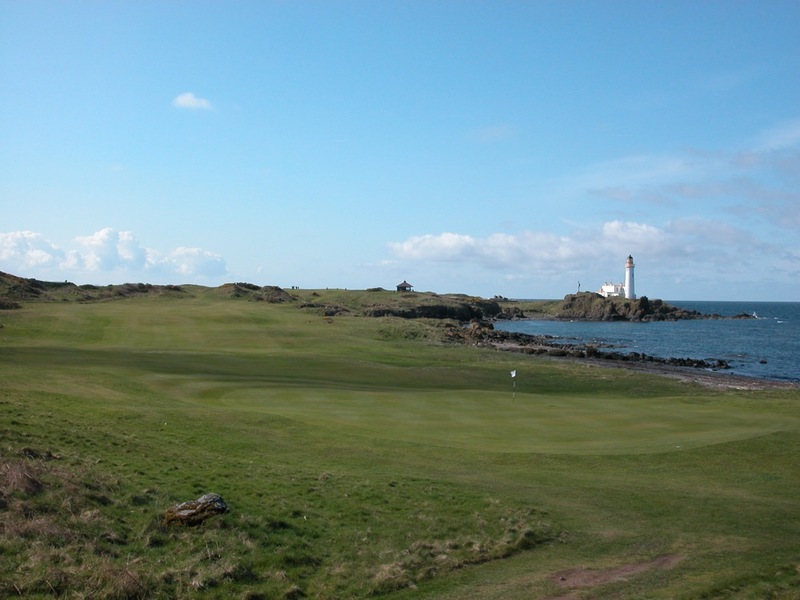 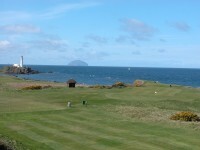 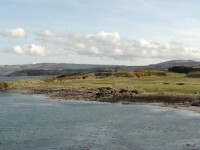 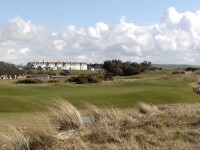 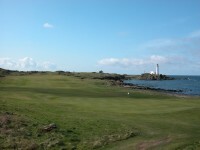 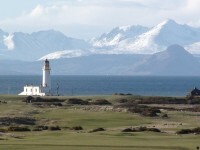 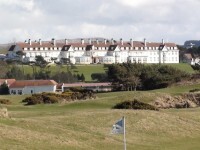 Today, Trump Turnberry is also home to the Kintyre Course, the original Arran Course that has been remodeled by Donald Steel, with two dramatic seaside holes, the 8th and the 9th. 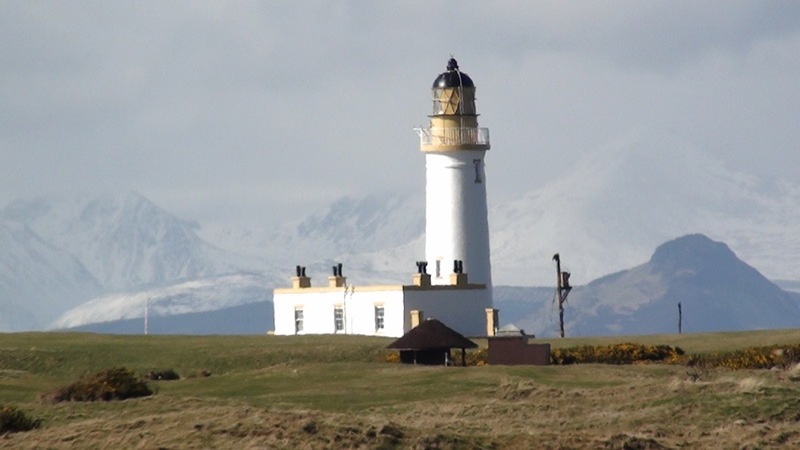 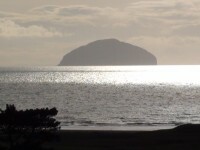 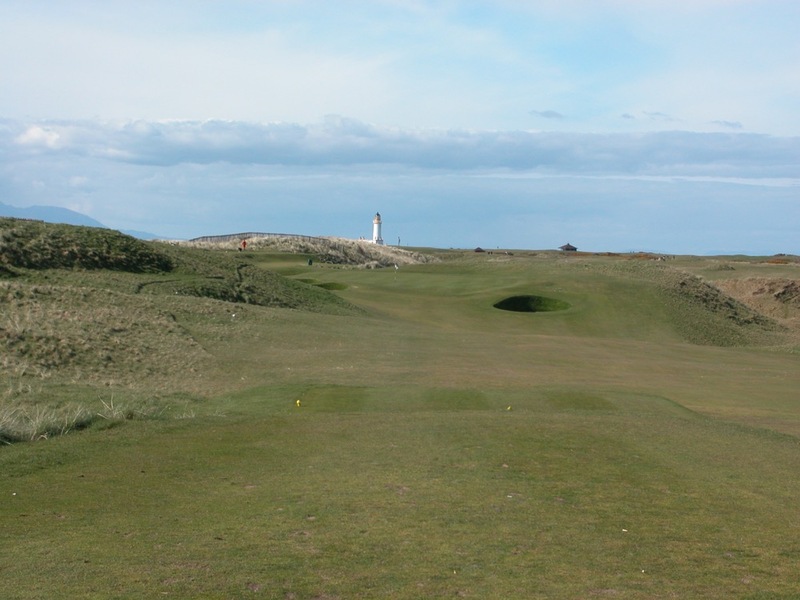 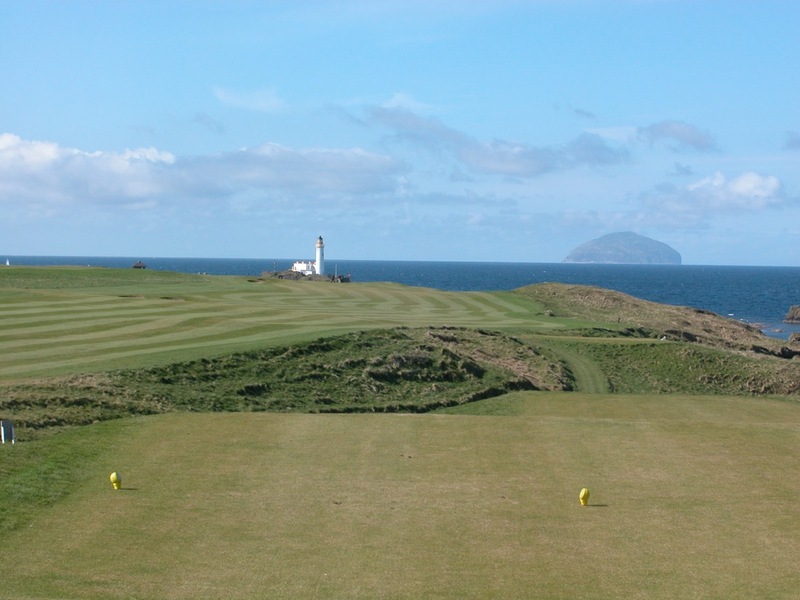 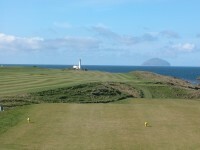 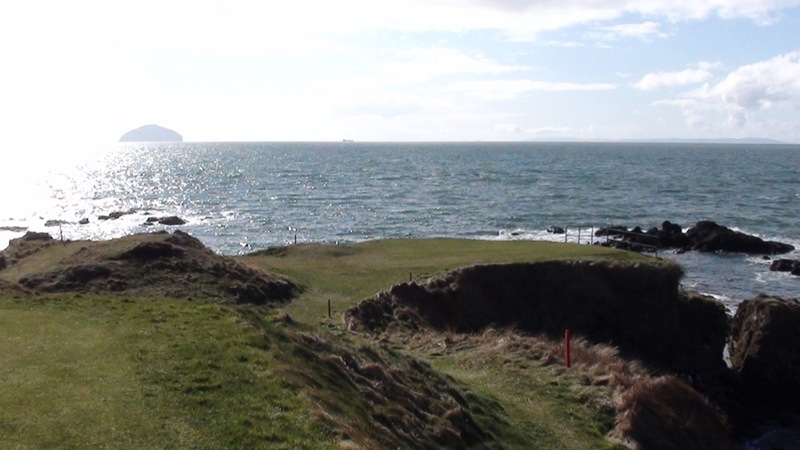 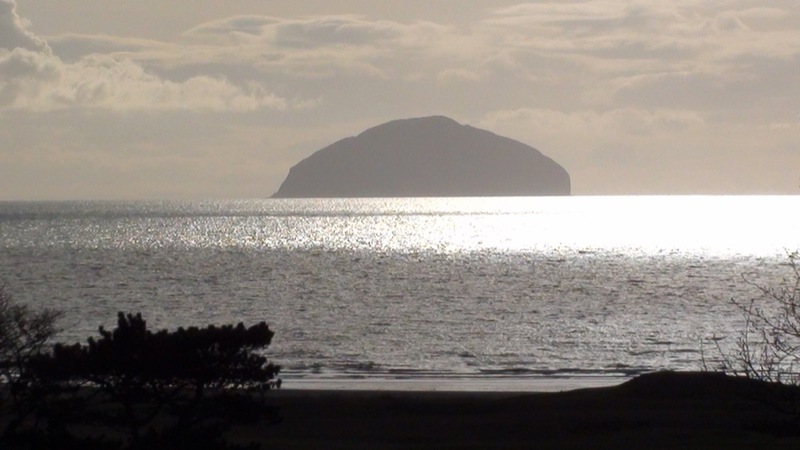 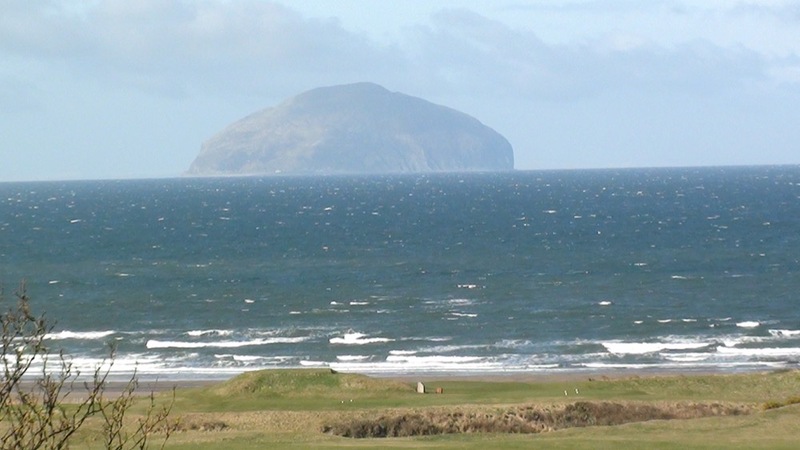 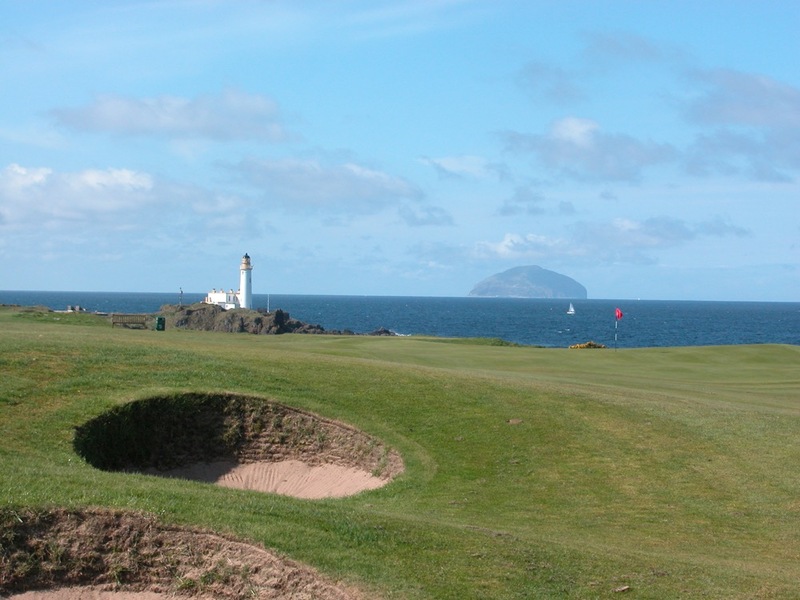 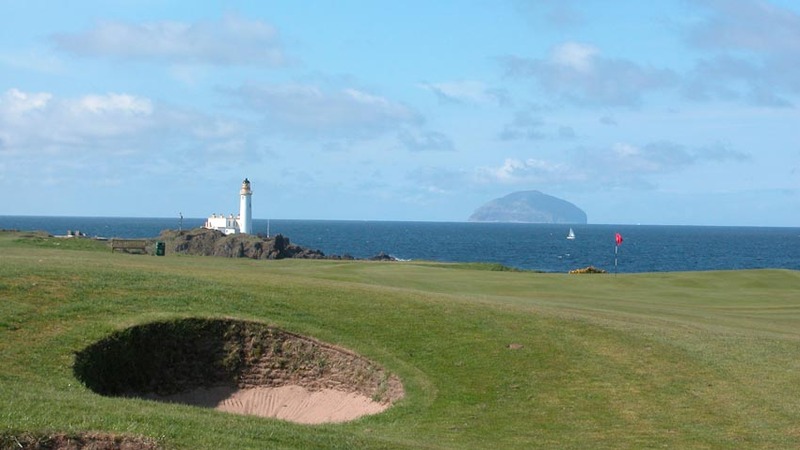 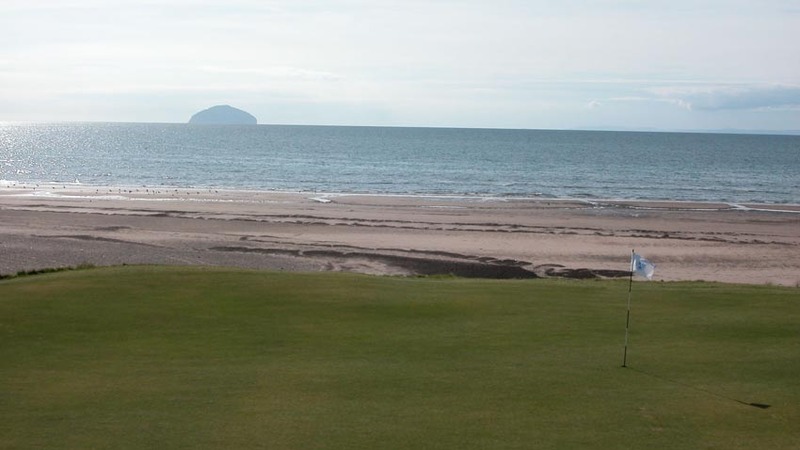 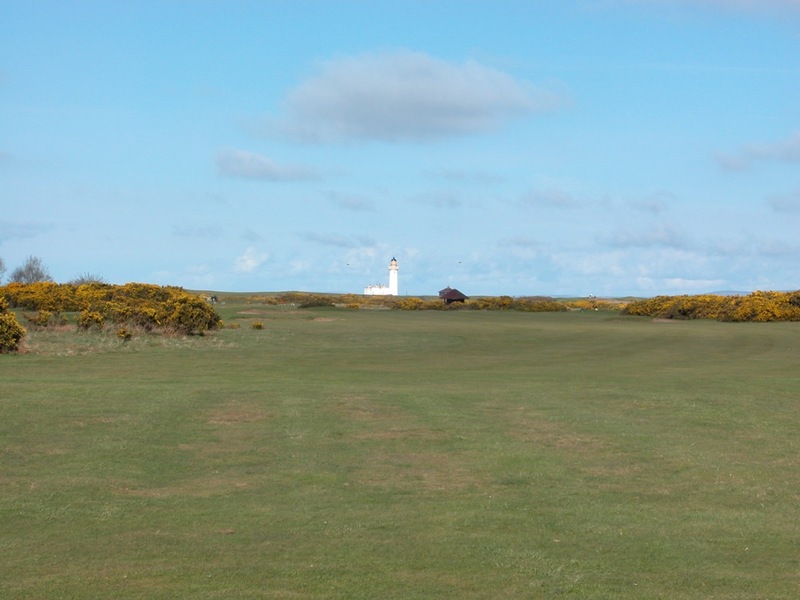 8 is a blind par-4, only 280 yards, with the green hidden over a crest down by the crashing waves, while 9 is a reachable par-5 that heads straight at the lighthouse and Ailsa Craig, simply unforgettable. 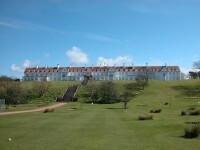 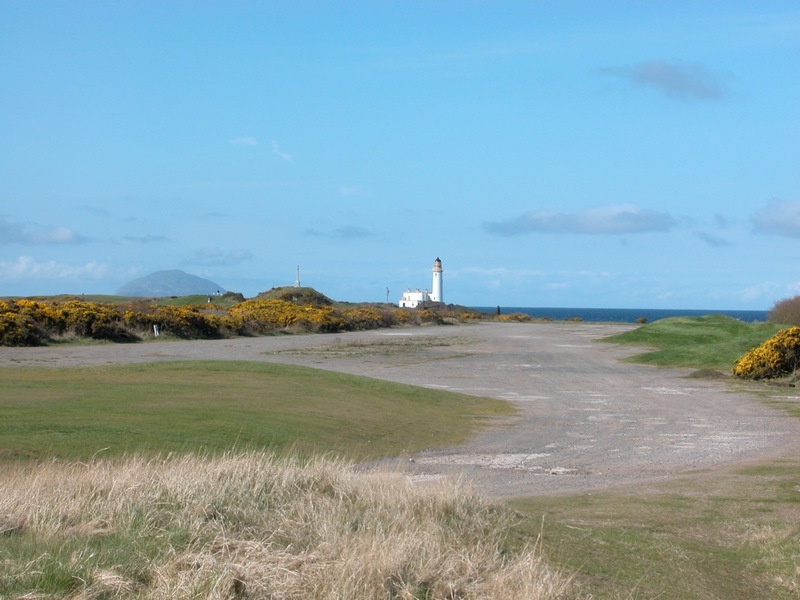 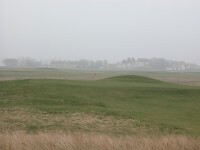 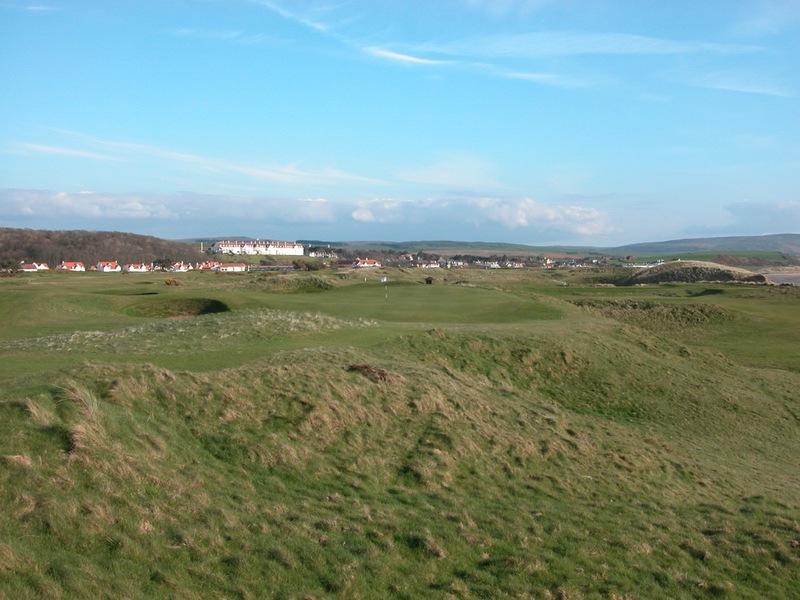 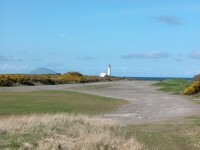 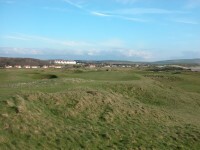 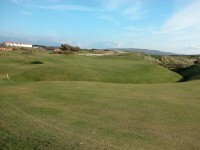 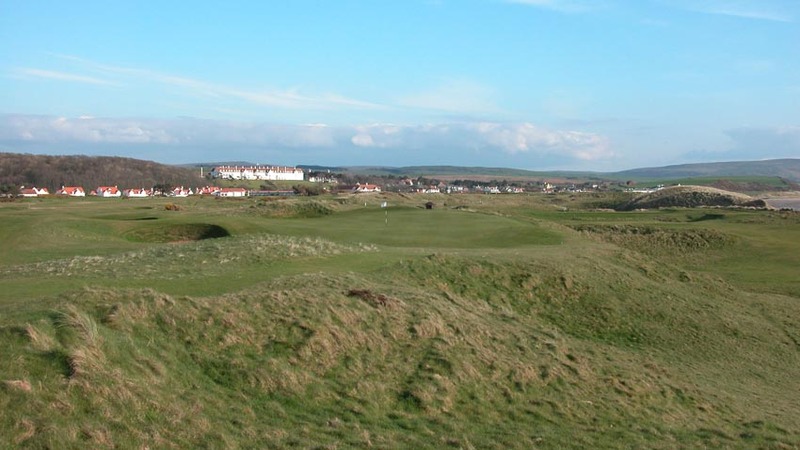 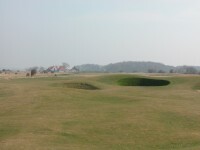 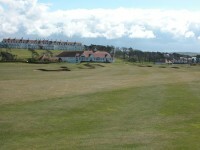 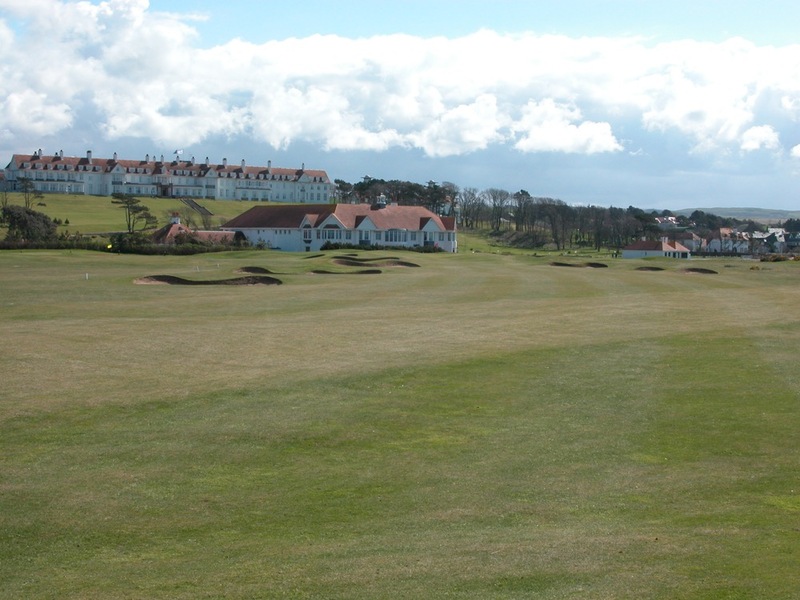 Our favorite activity though at Trump Turnberry may well be the pitch-and-putt course, 18 miniature holes at the bottom of the hill, complete with sod-faced bunkers, as much fun as you can possibly have practicing golf. 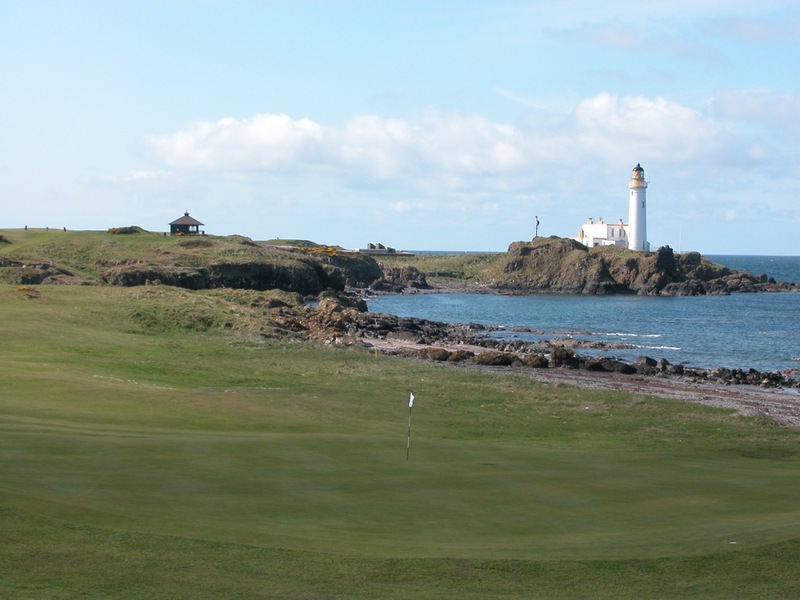 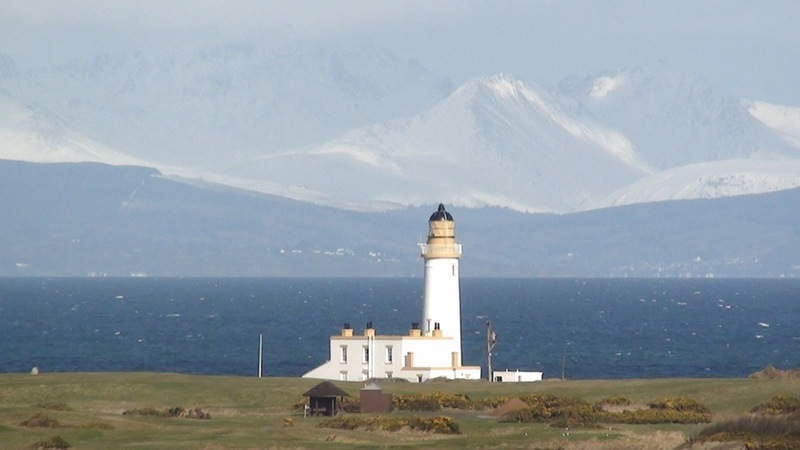 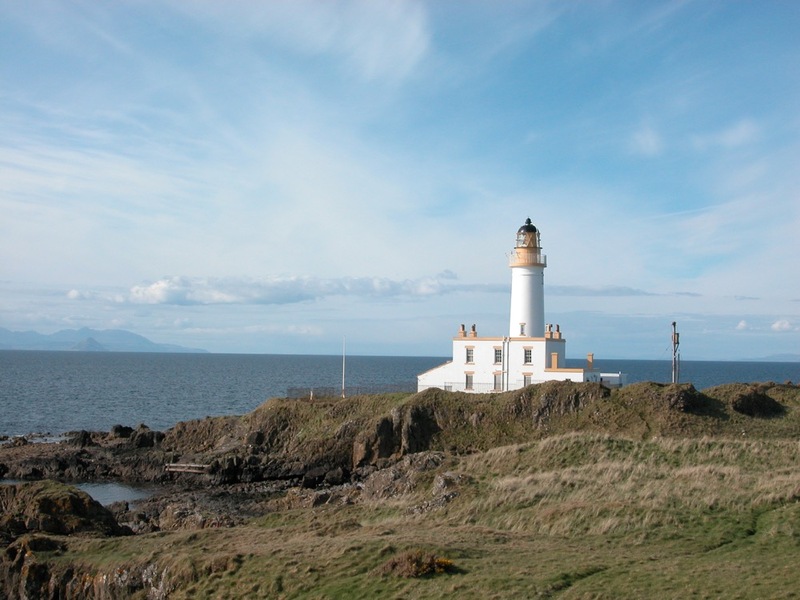 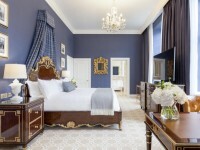 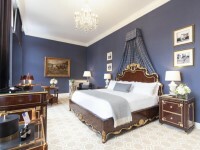 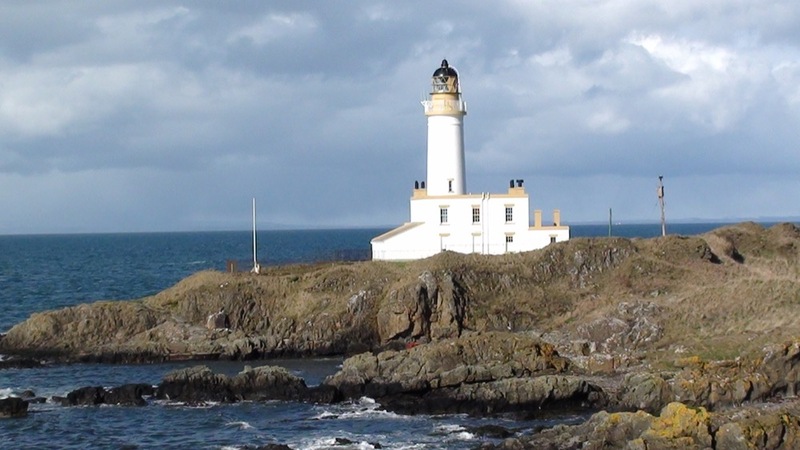 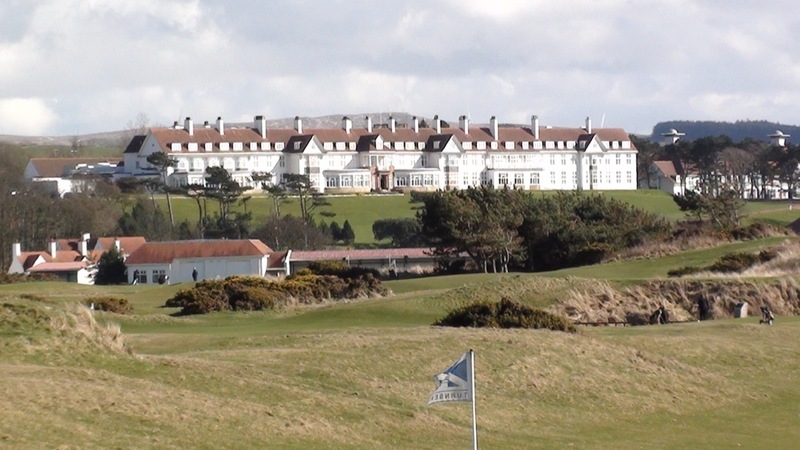 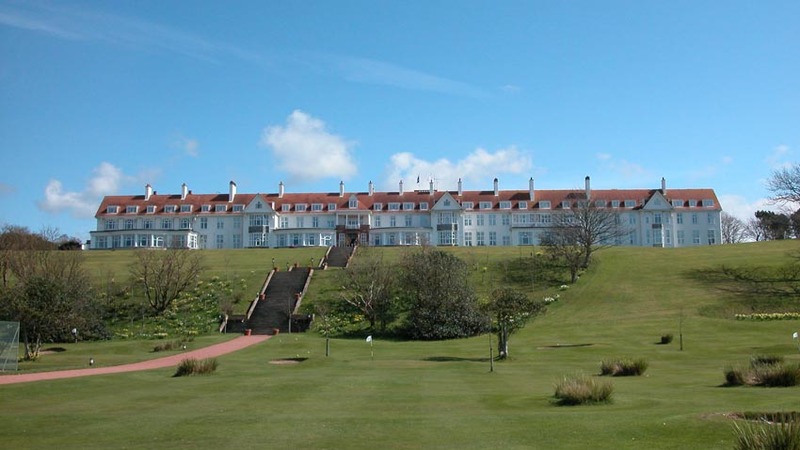 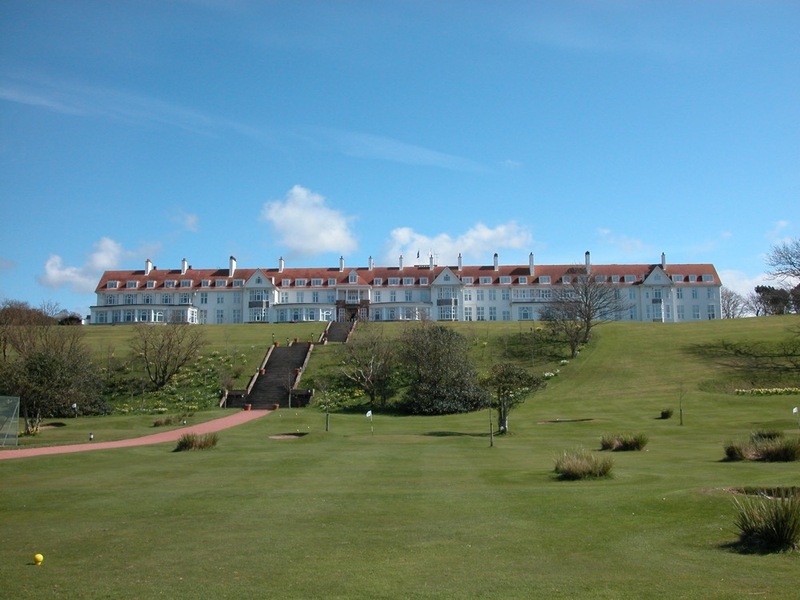 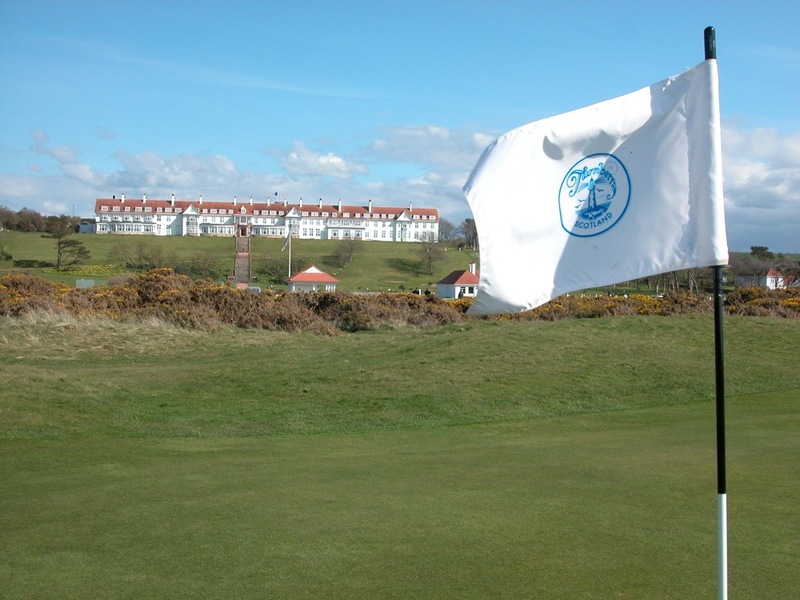 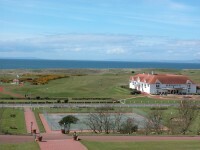 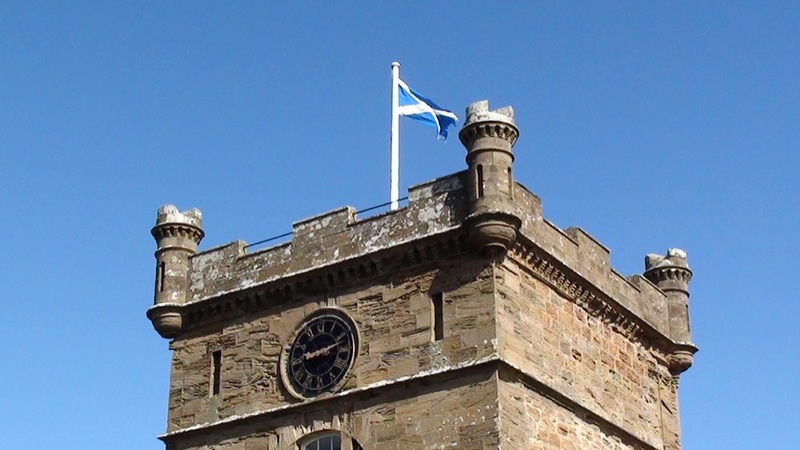 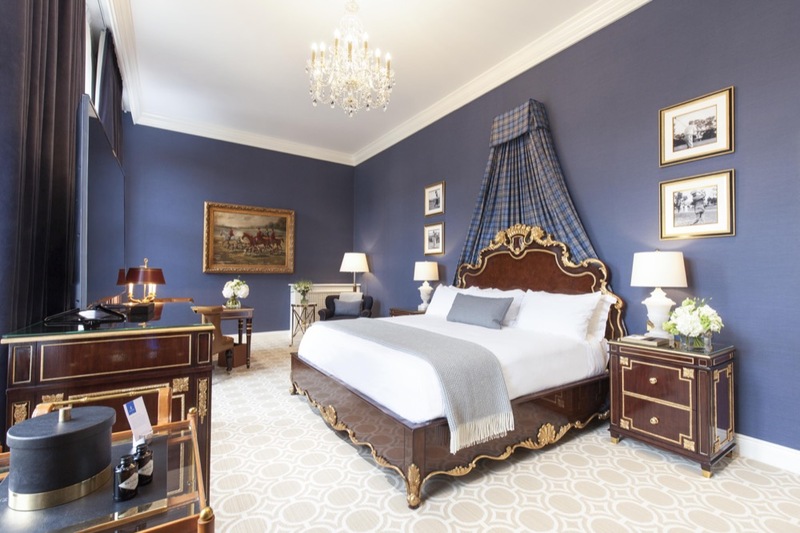 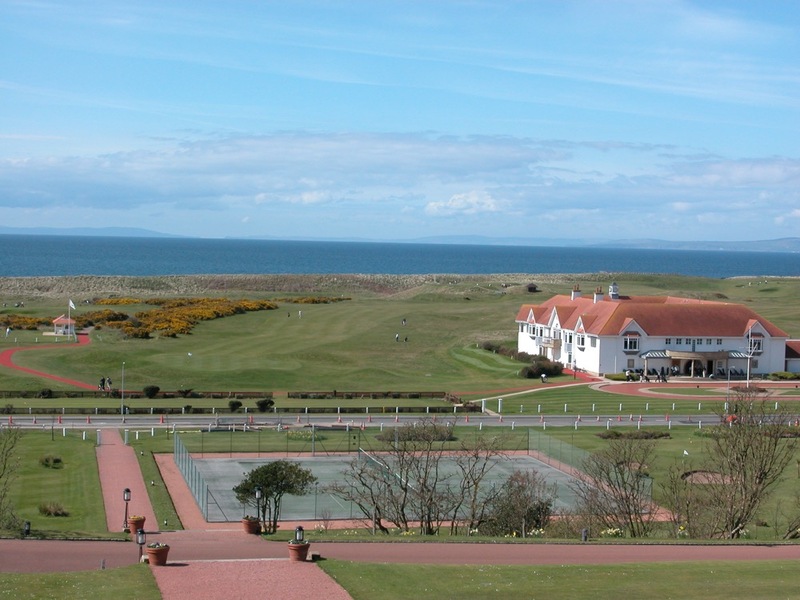 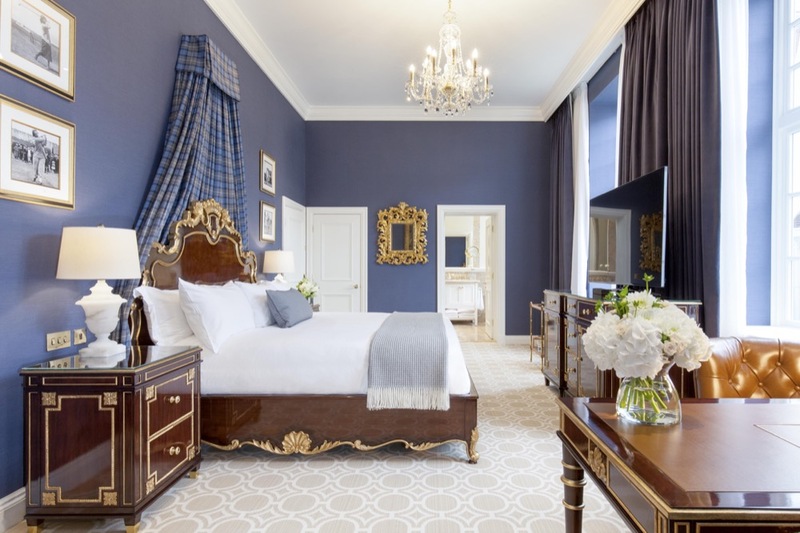 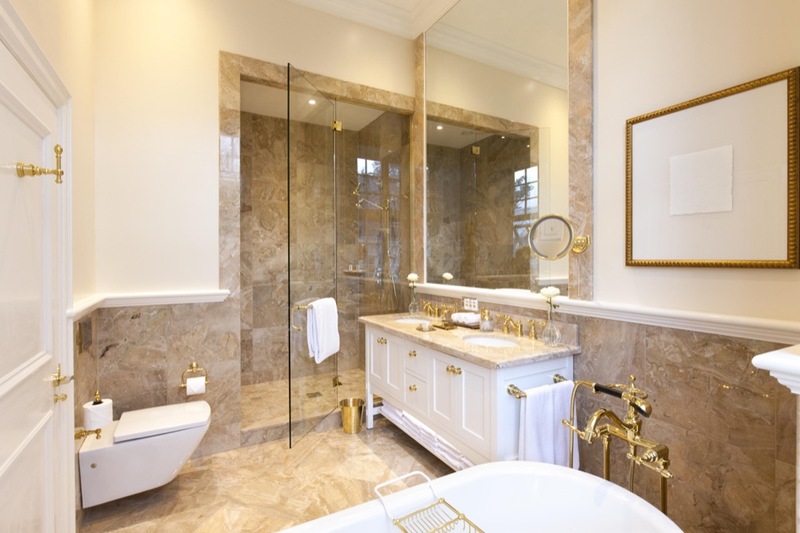 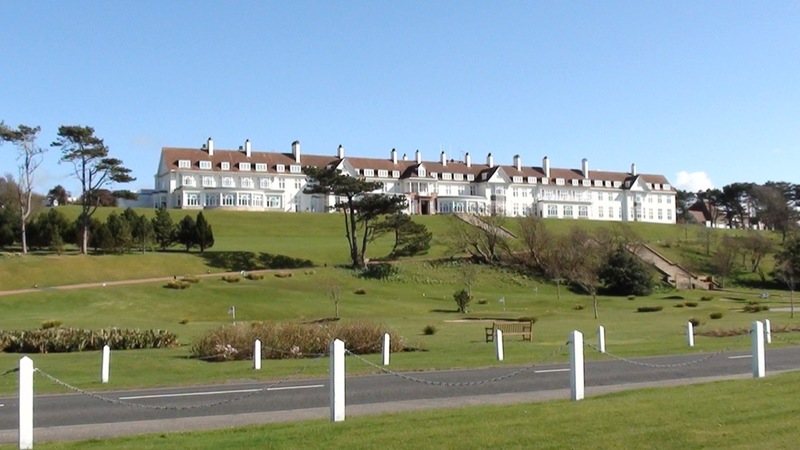 Even if you are on your budget, stretch it as much as you can and treat yourself to a night at the indescribably superb Trump Turnberry on your golf tour to Scotland!